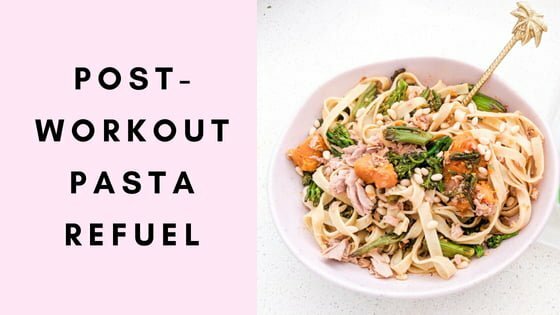 This pasta is your ultimate post-workout meal! 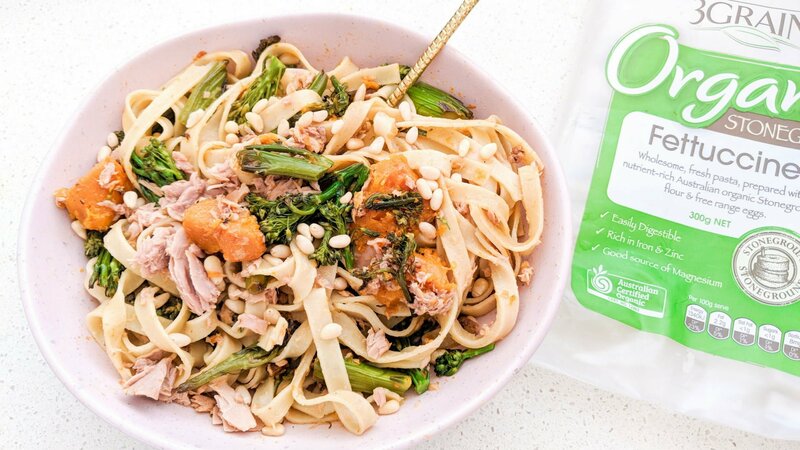 With an ideal protein-carb combo, this healthy pasta will refuel your muscles and help them grow and recover, ready to smash out your next training session! Cook pasta according to packet instructions. Once cooked, run under cold water, drain & place in bowl. In a pan, heat 1 tbs of oil and cook veggies. Add in pine nuts & cook 1minute. Add tinned tuna, cooked veggies & 1tbs olive oil into pasta bowl and mix to combine. Editor's Note: This recipe was made in collaboration with 3 Grain Organic.